How is Your Income Protected? Disability insurance is designed to protect you from the loss of income in both the short term and long term. Over 1/2 of all personal bankruptcies and mortgage foreclosures are a consequence of a disability, according to a Harvard Study. When workers were asked by the Council for Disability Awareness (CDA) what is most valuable in helping achieve long-term financial security, 53% said their ability to earn a living. Yet when the CDA asked them how long expenses could be paid in case of a disability, 48% answered three months or less. 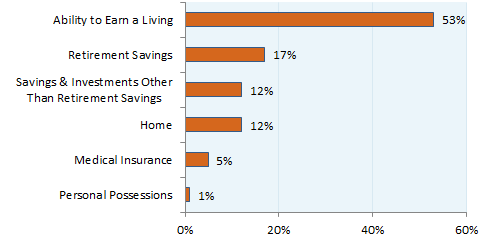 Workers were asked what is the most valuable in helping achieve long-term financial security. How valuable are each of the following to your own financial security? 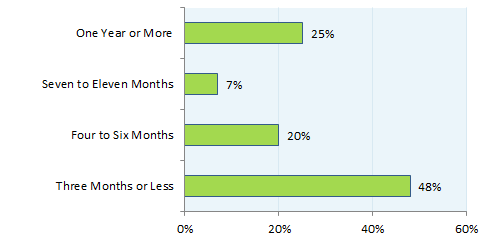 Workers were asked how long they could continue to pay for normal living expenses and bills if an injury or sickness caused them to miss work and lose their employment income. So earning an income is the number one priority, but it is what workers are the most unprepared for losing. Statistics show that 1 out of 4 American workers will become disabled before retiring. Those numbers are surprising, if not shocking.